Did you know a human mind, extracted and cheaply modified, outperforms microprocessors? 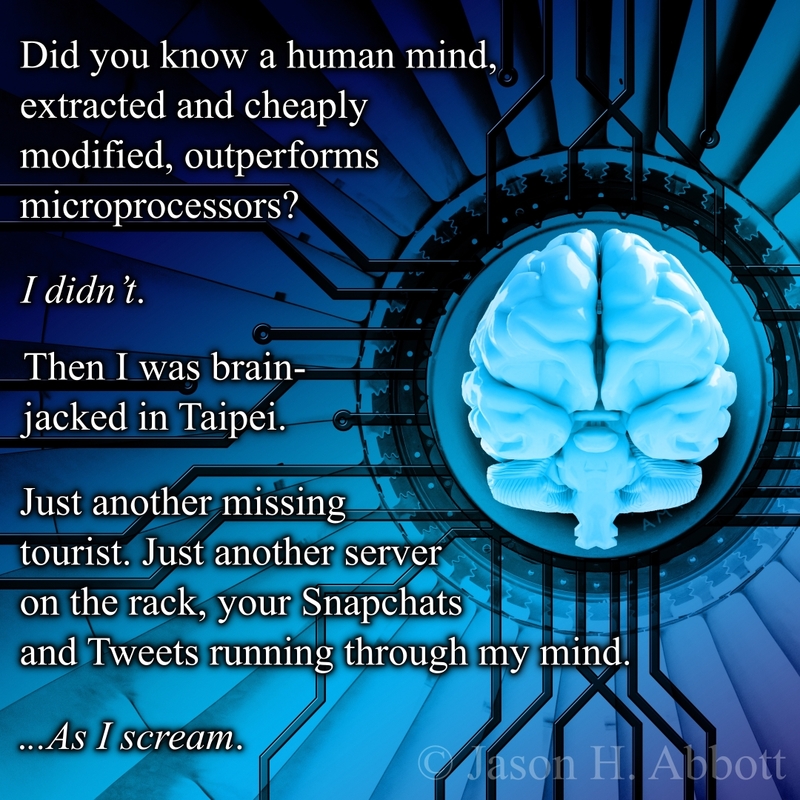 Then I was brain-jacked in Taipei. Just another missing tourist. Just another server on the rack, your Snapchats and Tweets running through my mind. I thought this was an interesting idea and the Flash Fiction worth sharing.